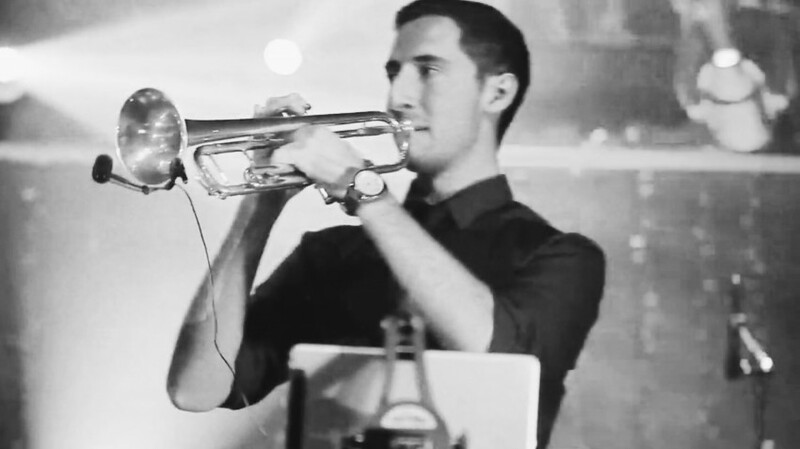 Evan Walsh is a freelance trumpet player in the Los Angeles area. Evan studied trumpet as a Cole Scholar at the Bob Cole Conservatory of Music at California State University Long Beach and holds a degree in music business from Full Sail University. During his first year at CSULB, Evan received an honorable mention in the Yamaha Young Performing Artists Competition and in 2015 won an opportunity to perform in the first annual Future Session Players Clinic at the Sony Scoring Stage. He performs with the Young Musicians Foundation Debut Orchestra and the Young Artist Symphony Orchestra. Additionally, Evan has performed with the American Youth Symphony ... read more at me at my website. I hired Evan to play some specific songs for my grandmothers funeral, at her gravesite. There was another musician there, doves to be let free, a priest speaking, family speaking, a bell that rang, there was a lot going on... Evan played the songs, he was very professional and respectful, was paying attention and knew to catch my eye when it was time for him to stop and go ahead and play again... There were a few long pauses in his playing, maybe it was his first time playing these old songs... ( she wanted Chris Botti style trumpet ) All in all We were happy with his performance. Very nice guy, Evan did a great job and I would recommend him. Having been contracted for an unaccompanied solo instrumental performance there will be times when rests occur musically and while the next songs are being pulled up after one is complete. To alleviate this more musicians would need to be hired as musical gaps do happen when there is just one musician. Can't have the sound of a full recording from just a single instrumentalist. Nicole made song request changes within 24hrs leading up to the service and all requests were accommodated. I even repeated my performance of the songs requested at Nicole's request during the event at the conclusion of the service. I recently hired Evan to perform for me for my proposal to my girlfriend. It was on the beach and required walking on sand for a decent length and meant getting shoes and such dirty. Evan did not care or mind at all. He showed up well before he was scheduled and was ready to go. Beyond the professionalism in working with him to set everything up and the set up upon arrival Evan's talents were truly amazing. He is a very talented trumpet player and his music was absolutely beautiful. I truly and unequivocally would recommend him and already trying to find possible events to hire him again. True class act and true talent to say the least and the cost to have such amazing performer is unbelievably and more reasons to obtain him! Thank you Evan for a magical night to remember! Recent review: So glad to see you guys on Gigsalad! You have such an amazing sound!